The UCD Travel Plan 2016-2021-2026 was developed in order to promote and facilitate sustainable commuting and to communicate current UCD commuting metrics and targets for the future. 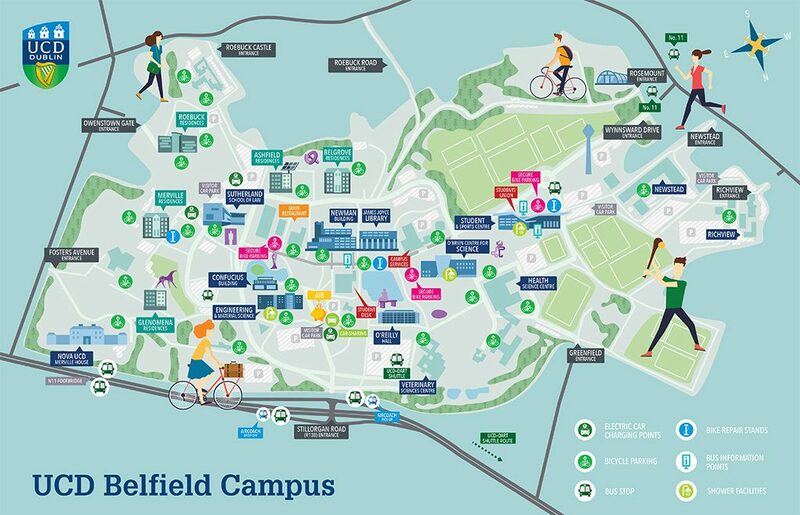 The plan was developed with information gathered from the annual commuting survey, as well as through a UCD community consultation process. We would now like to take the opportunity to provide you with an update on progress since the publication of the plan. The UCD Travel Plan Update 2018 contains information relating to commuting infrastructure and services recently added, outlines plans for the future and contains some information which should act as encouragement to those of you considering the move to more sustainable modes. 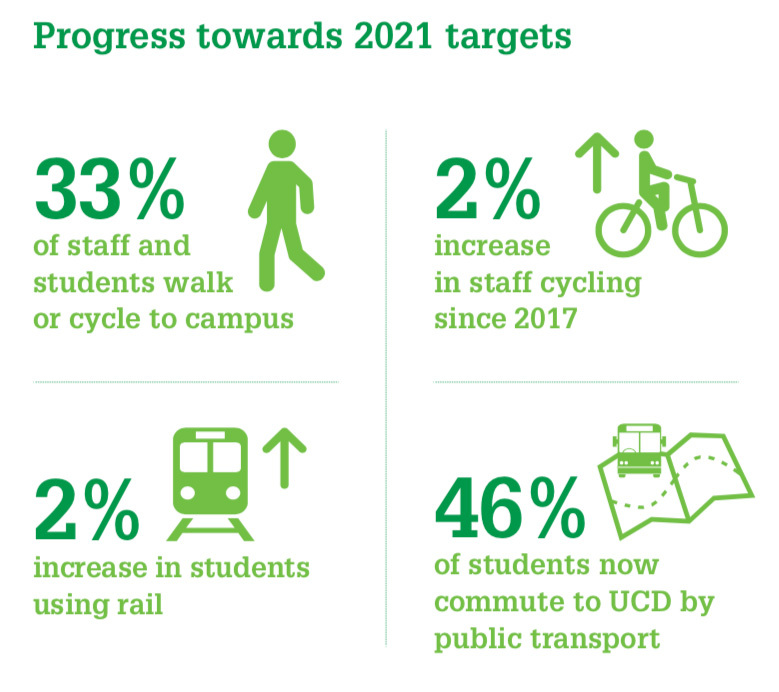 The annual UCD commuting survey shows that with your help we are making good progress towards our targets. There has been a 2% increase in staff cycling since 2017 and 46% of students now commute to UCD by public transport. Overall, 76% of the University Community now commutes through a mix of public transport, walking and cycling – which is very positive.